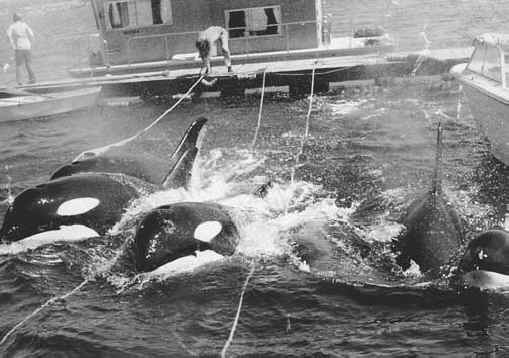 (Orca Exploitation - Entertainment - 01) Some unlucky orcas are captured and forced into a life of slavery. Capturing orcas is an extremely barbaric process. Along with bombs and small aircrafts, which are sometimes used to corner the pods into an inlet, nets are used to separate the infants from the adults as they cry out, desperately attempting to reach each other. This is kidnapping! This is evil! The best way to stop this barbarity is to stop going to places that put animals on display.